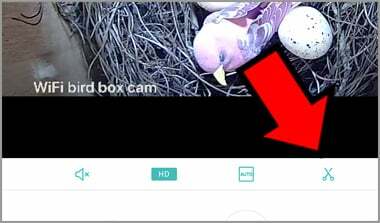 Either you are watching the birdhouse camera live video or playback the recording files, you can save the current video to your mobile phone. The saving files format is .mp4, it is easy to share on social network. 1. 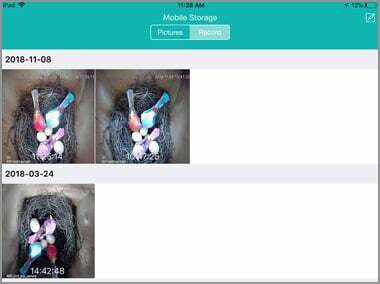 In the live video or playback, Tap the scissors to start saving the video clips to your mobile device. 2. Tap it again to save the files. 3. Tap the arrow icon top left screen to return to device list. 4. Tap the “Mobile Storage” on the bottom to view the saving files. 5. Tap the save icon on top right screen. Select the files you would like to import to mobile phone. 6. Tap “Share” icon on bottom right screen. 7. 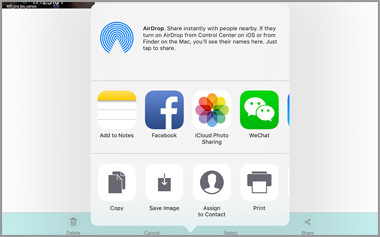 Choose “Save Video” to save the files to photo gallery.